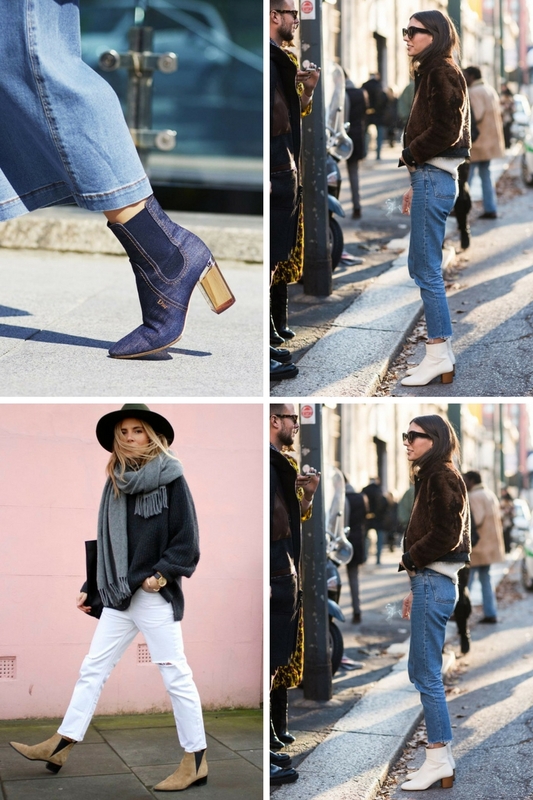 If there is one special combinaton for street walks on the town this cold season, then it’s ankle boots and jeans pairing. 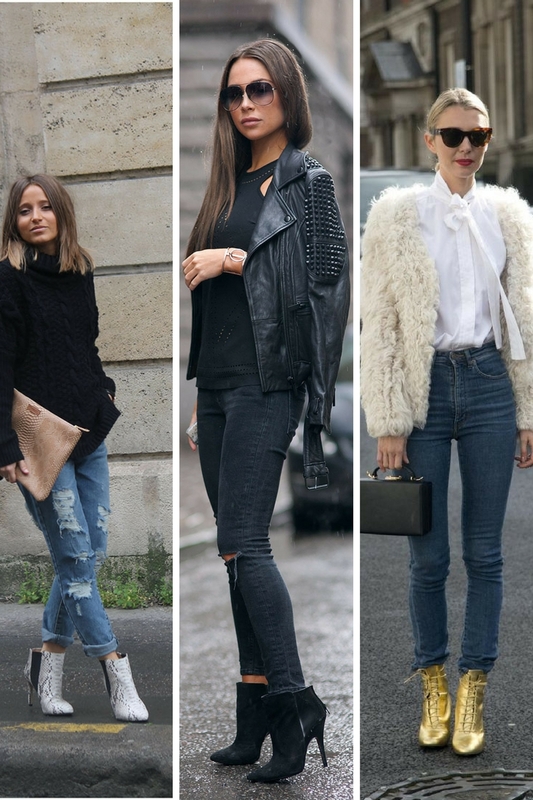 Sure, every woman tries to create something original, that’s why I gathered original outfit ideas with jeans and ankle boots. 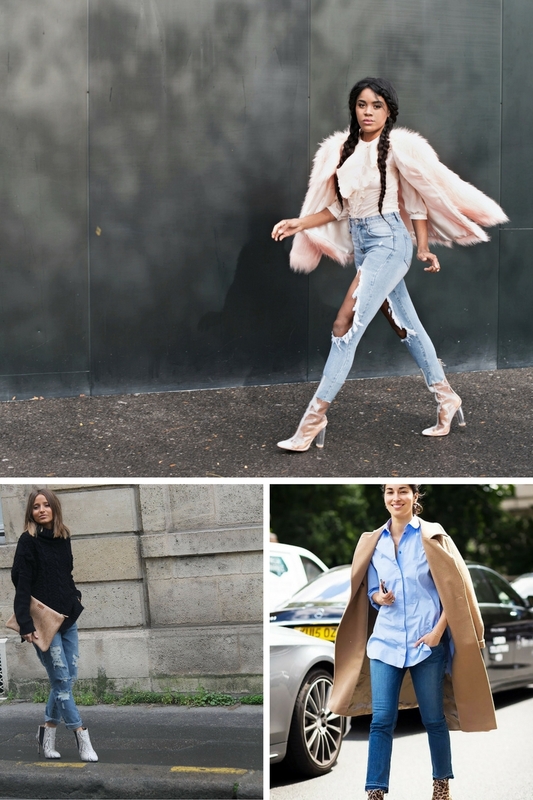 You are about to see lots of layers, oversized combos, creative cuts, fits and colors. 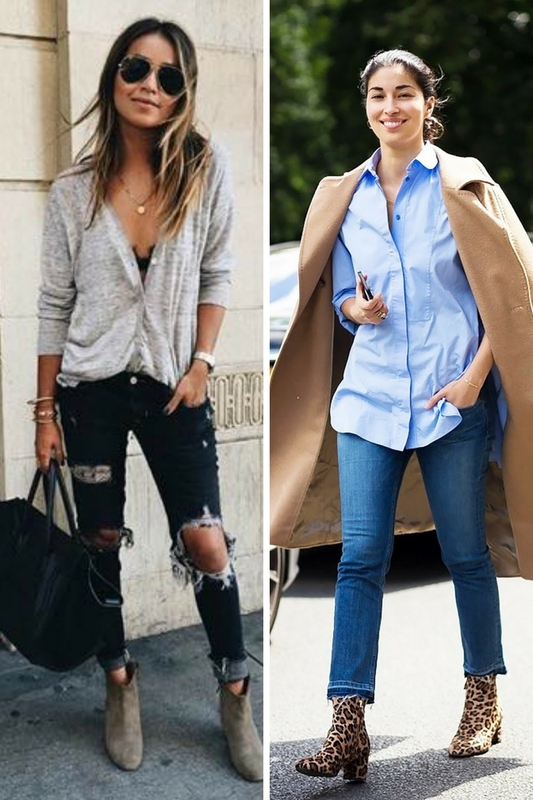 Youcan either make things look uber casual by teaming graphic tee with biker jacket, mid-rise washed blue knee-ripped skinnies and black lace-up booties, or go for ripped slim jeans, khaki gray pullover, leopard print silk scarf and suede gray booties. 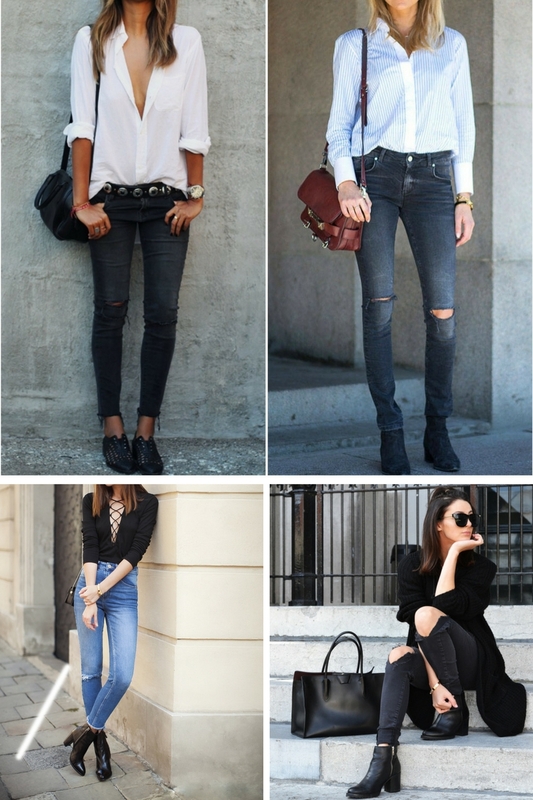 Pairing your jeans with booys can be fun. 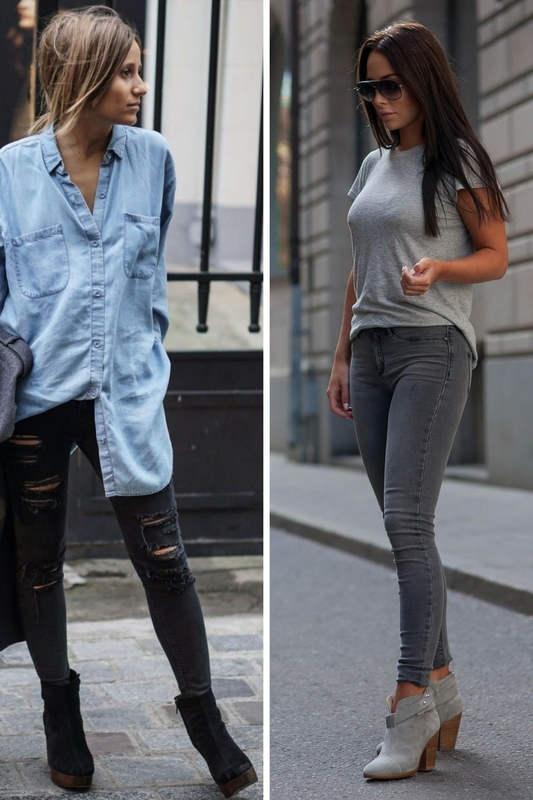 Your jeans can be rolled up, tucked in, cuffed, or half-cuffed, or you can keep your clothes monochromatic. The best part of these shoes- they are extremely comfortable and versatile. 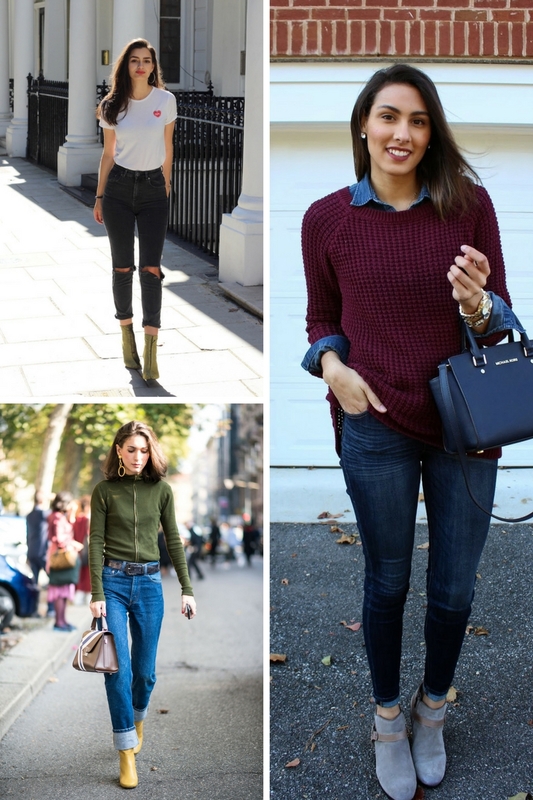 If you are stuck in a style rut and want brand new outfit ideas to try this year, then I am more than happy to show you style tips and tricks you can copy this season. 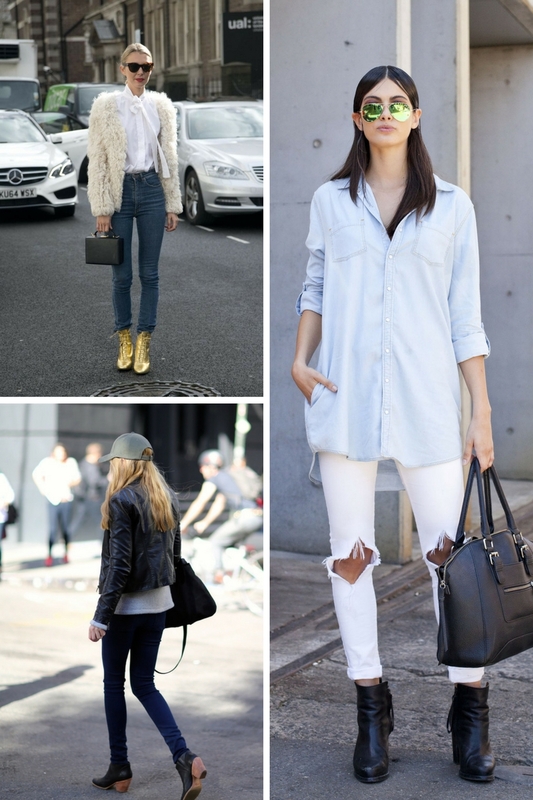 Scroll down to see original looks that are both fabulous and easy to wear.